Tecno has just introduced the successor of the Tecno Pouvoir smartphone announced just a month ago. The Pouvoir Series is a brand new smartphone series from Tecno. The first Pouvoir Smartphone was announced in April, during the launch of Tecno Camon X and the Camon X Pro. Okay, to clear your silent question, the word ‘Pouvoir’ is a French word meaning Power. 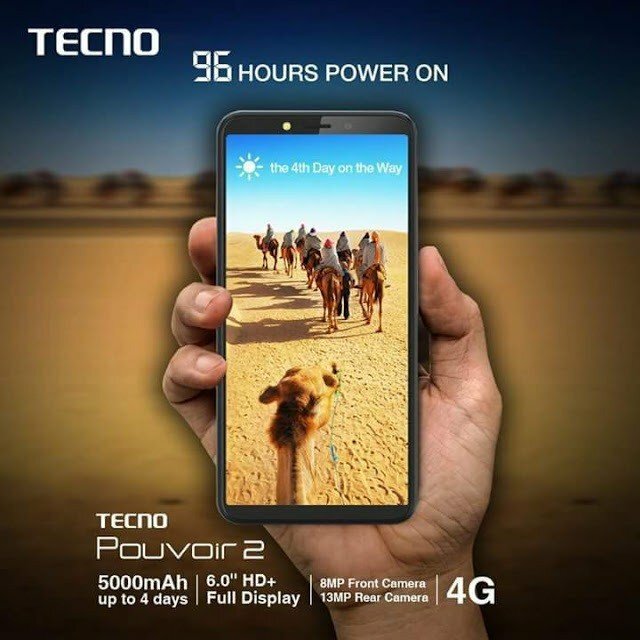 So Tecno Pouvoir is also known as Tecno Power. 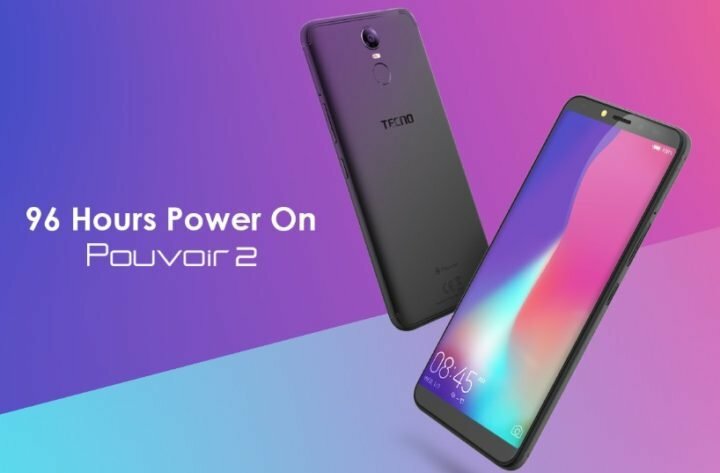 So when I say Tecno Pouvoir 2, I’m as well referring to Tecno Power 2. But why the choice of the name ‘Pouvior’? Although, while the Tecno Pouvoir also came with a 5000mAh built in battery, the Pouvoir 2 should be the best buy for many fans as it packs updated specs and features than it siblings. So talking about features and specs, what is the highlights of the Tecno Pouvoir 2? One of the major SP of the Tecno Pouvoir series is the presence of a 5000mAh battery under the hood. The last Tecno smartphone I can remember with such a large battery back-up is the Tecno L9 Plus, which had an endurance rating of about 72-hours of continuous use. As for the Tecno Pouvoir 2, the company claims the device can hold you up without charge for about 96 hours. As good as that may sound, charging time might be the enemy of many because, the device the battery have no support for fast charging. Most Transion mobility fans should already be used to a Full Vision display. It was used on the Tecno Camon CM, the Camon X, Infinix Hot S3 and of course, the recently announced Infinix Hot 6 and the Hot 6 Pro. Infact, the display size and resolution on the Infinix Hot 6 is same as the Tecno Pouvoir 2. I’m talking about a 2.5D 6.0-inch HD+ (1440 x 720 Pixels) display resolution. With this display, user should be able to enjoy some decent display output from Tecno Pouvoir 2, but don’t deceive yourself into expecting your icons to be popping out on the display like it would on premium smartphones. This was one of the major let down of the first Tecno Pouvoir smartphone – 4G LTE modem was absent due to the use of a 32-bit MediaTek CPU. But on the Tecno Pouvoir 2, you get a 64-bit MT6737 quad-core CPU, which has 4G modem built in. Along with the CPU, you also get Mali-T720MP2, 2GB RAM and a 16GB internal storage. Tecno Pouvoir 2 is stacked with a single 13-megapixel rear camera along with dual-toned, dual LED flash. Up front, you get an 8-megapixel selfie sensor along with a single LED flash. Usually, depth of field and bokeh effects are reserved for smartphone with dual camera sensor. But with software tweaking, OEMs can still achieve these features without a dual rear sensor. Google started with the Google Pixel 2 XL even before AI features became rampant. Tecno also used similar software tweaking to attain bokeh effects on the Tecno Camon X. And now, the company has bundled same feature on the more cost effective Tecno Pouvoir 2. The Tecno Pouvoir 2 does not only support bokeh effects both front and back, it also come equipped with FaceID, enabling you to unlock your phone more quickly and smartly. Other specifications of the Tecno Pouvoir 2 are checlisted below. The Tecno Pouvoir 2 is available in City Blue, Midnight Black, Champagne Gold. 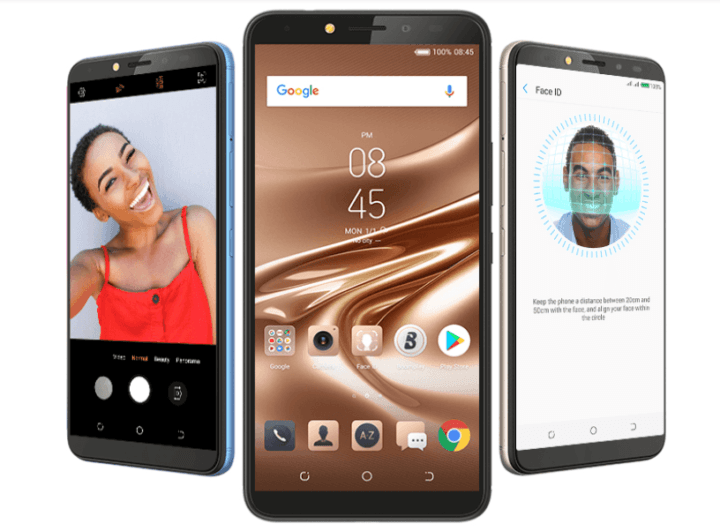 As far as pricing is concern, the device is priced around 125 US dollars, and available both via Jumia online store and Tecno offline stores.